We continue looking back at comic book covers from the 80's and who better than the man of adventure himself Indiana Jones! Indiana has been the star of several comic book series over the years but fans fondly remember the Marvel series featuring his further adventures. 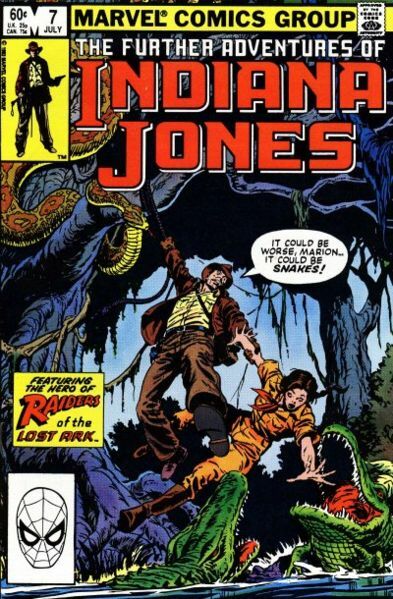 We chose this cover because it captures the sense of adventure you got with Indiana jones as he and Marion try to survive the clutches of killer crocodiles!